Netcellence Technologies is a Software-as-a-Service (SaaS) Product Developer and Service Provider. Netcellence Technologies is on a mission to help Indian Businesses and Institutions achieve Operational Efficiencies by effective and affordable use of Technology. 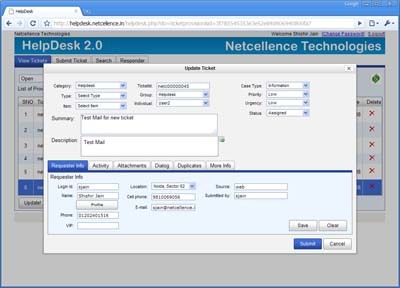 Helpdesk 2.0 is a Next Generation Customer Support Product.